Primary Home Care – a program with nontechnical, medically related personal care service provided to adults whose health problems cause them to be functionally limited in performing activities of daily living, according to a statement of medical need. 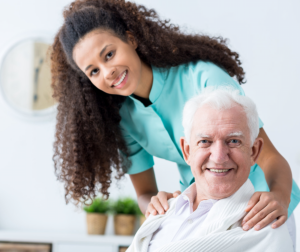 Family Care is a non skilled, nontechnical attendant care service for eligible adults who are functionally limited in performing activities of daily living. Family Care services are provided by an attendant and do not require the supervision of a registered nurse. Community Attendant Services are non-technical, medically related personal care service that is available to eligible adults and children whose health problems cause them to be functionally limited in performing activities of daily living according to a practitioner’s statement of medical need. Services are provided by an attendant.